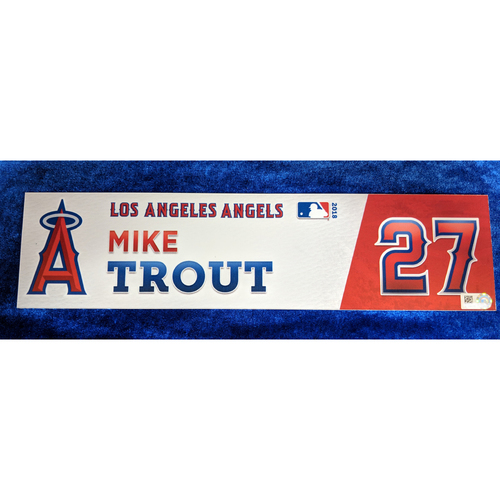 This Locker Tag was custom made for Los Angeles Angels Center Fielder, 2012 Rookie of the Year, and 2 time American League MVP Mike Trout for the 2018 Season. This Locker Tag was pulled form the Clubhouse after the May 3rd 2018 home game against the Baltimore Orioles. IN 2018 Trout would finish the season with a .312 batting average with 39 Home runs and 79 Runs batted in. This locker Tag measures 12"x3"